Sometimes looking up in the sky over Mid-Michigan, you can see something that defy explanation. The unexplained Hemlock Lights are really bright lights twinkling, hovering and just like staying in one spot while producing a kind of like a motor sound, something off in the distance. 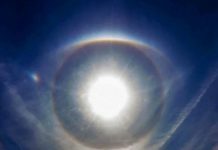 The source of the strange sounds in the sky over Michigan? These lights aren’t the only weird incident in Hemlock. In October 2002 crop circles appeared in the fields at the Turner Farm near Hemlock. 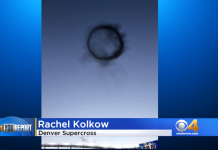 Witnesses often reported strange lights and humming sounds before these circles appeared. But who investigates these lights? And what are they? 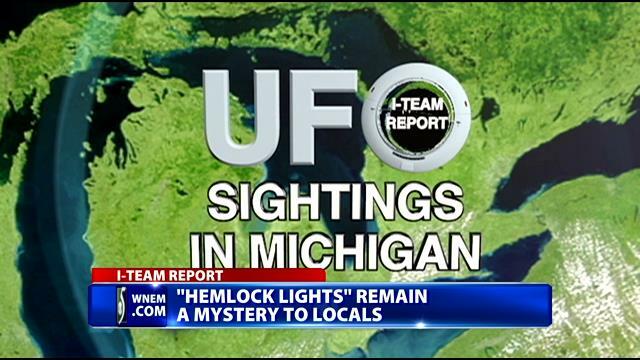 The I-Team has obtained recently declassified documents from the United States Air Force “Project Blue Book.” They reveal that more than a dozen eyewitness have stepped forward citing mysterious lights like those in Hemlock since the 1950s. [quote_box_center]A volleyball sized light, red changing to pink, in Arenac County. A spherical, orange object spotted in the skies above Saginaw. Red and silver lights, appearing then disappearing over Genesee County. 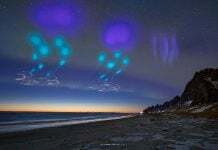 So what are the mysterious Hemlock lights? And where do they come from? The explanation could be out of this world, but not necessarily unexplainable. Some believe it is planet Venus, because it’s stationary in the sky, and it seems like it hovers. But if it’s not Venus? Who knows what’s out there. Discover 7 mysterious lights around the world.